One of my favorite bath and bodyproductsisa deliciouscitrus sugar scrub. Why? Sugar scrubs are excellent for the skin. A scrub helps promote new cell growth of the tissues, leavingbeautiful,youthful skin. 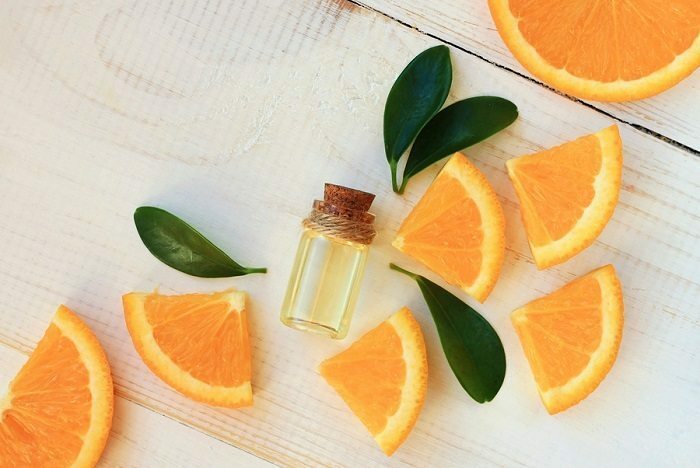 Citrus leaves an uplifting scent and helps moisturize the skin. 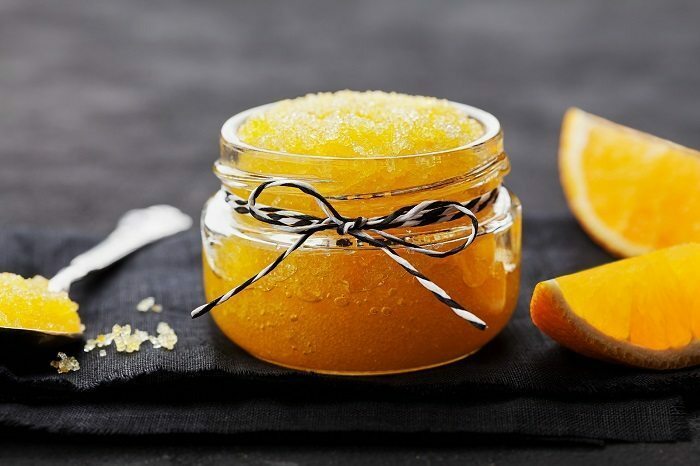 Sugarscrubs areperfect any time of year. Theywill help relievedry winter skin, while also keeping the skin smooth and radiant during the summer. Body scrub recipes are quick and easy to make. Most often you can prepare a homemade scrub in about ten minutes. If this is your first body scrub, or you are adding a newexcitingblend to your ever growing collection, I amconfidentyou will love this recipe. Moisturizing: When making a scrub, sugar is the ideal ingredient because it will not dry the skin out as salt will do. Sugar is alpha-hydroxy rich, alpha-hydroxy is an active substance with exfoliating and emollient properties. Gentle: When you choose brown sugar as your ingredient, it is gentle enough to use on the face and neck. Brown sugar is also gentle enough for individuals who have sensitive skin. Sugar in general is very gentle on the skin, and not as abrasive as salt or other exfoliants. Helps with blackheads and whiteheads: When we have Excess oil, dirt and dead skin cells, the pores become clogged, as well the production of bacteria which develops into acne, blackheads or whiteheads. Exfoliating with a sugar scrub will strip away all this debris and keep the skin clean and clear. Cleansing: Sugar scrubs are excellent at cleansing the skin while keeping its natural moisture. Oxygen and other nutrients can start to work to heal acne and other skin problems from the inside out. Exfoliating regularly will benefit even the mostcallousedskin, often found on the elbows and feet byeffectivelyremoving accumulated dead skin cells. The gentle massaging application of homemade sugar scrub on the skin enhances blood circulation.The increasedcollagen production and cell regeneration can prevent wrinkles and other signs of aging. 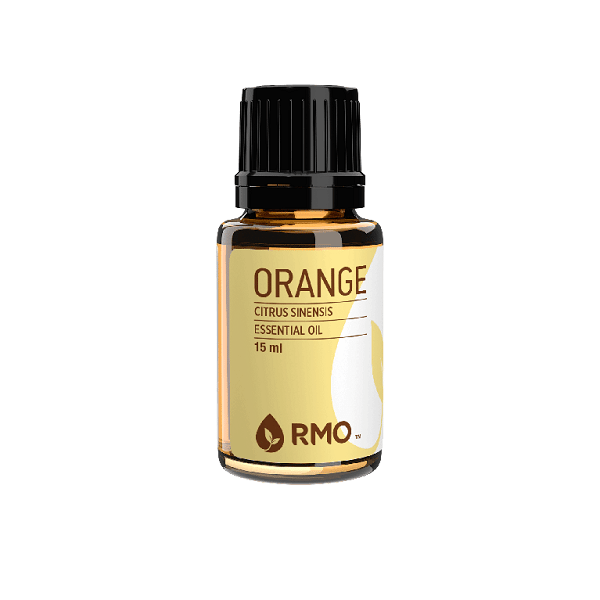 9 drops orange essential oil. 1 tbs grated orange peel. Combine all of the ingredients in a glass bowl and mix well. This recipe makes enough sugar scrub to divide between 3, 4 oz. Mason jars—perfect for sharing with friends! Store your mixture in the fridge. Use in the shower all over the body. This blend can be used on the face and neck, but avoid contact with the eyes. We only recommend the best ingredients on the market. We have dedicated time and research into finding ingredients that qualify with our strict standards. You can learn more about how we define the best organic products on our About Page. The skin is the largest organ of the body. Keeping it healthy by removing dead skin cells,improvingcirculation,eliminating toxins and increasingoxygento the tissues will guarantee glowing, youthful skin. Homemade sugar scrubs are easy on the pocket and give you control of what ingredients you put on the skin.